A mezze platter is such a delightfully sociable way to eat. These small dishes, intended for sharing and often accompanied by flatbread, are part of the culinary tradition of the eastern Mediterranean, Middle East and various Arab countries, where a few dishes will accompany drinks or else be served at the start of a longer, multi-course meal. 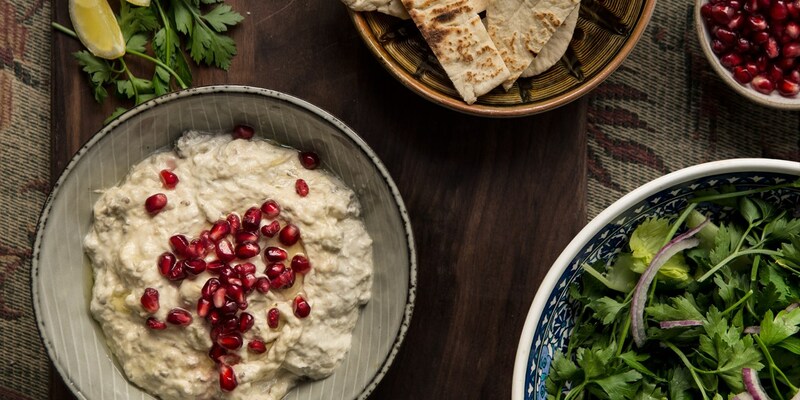 This collection of mezze recipes should provide you with all of the inspiration you need. If you have guests it’s simple to put out a dish of olives or grill a few slices of halloumi, and Richard Davies’ Easy hummus recipe takes mere minutes to make. It’s so good you’ll never resort to shop-bought again and the puffy, golden flatbreads by Adam Gray would make a perfect accompaniment. Alongside well-known mezze staples like falafel, stuffed vine leaves or tabbouleh, the more adventurous could try kibbeh, made with minced meat and bulgur wheat, or fried calamari.